True friends are as precious and as inspiring as beautiful roses. The perfect ones only enhance our lives with their kindness, generosity and understanding. I am privileged to have many wonderful and precious friends in my life and yesterday I was inspired to say thank you to one particular friend, Michelle, through these cupcakes. Michelle was the first person to fall in love with my cupcakes and she enthusiastically ordered from me before Cupcakes2Delite was even a thought in my head! 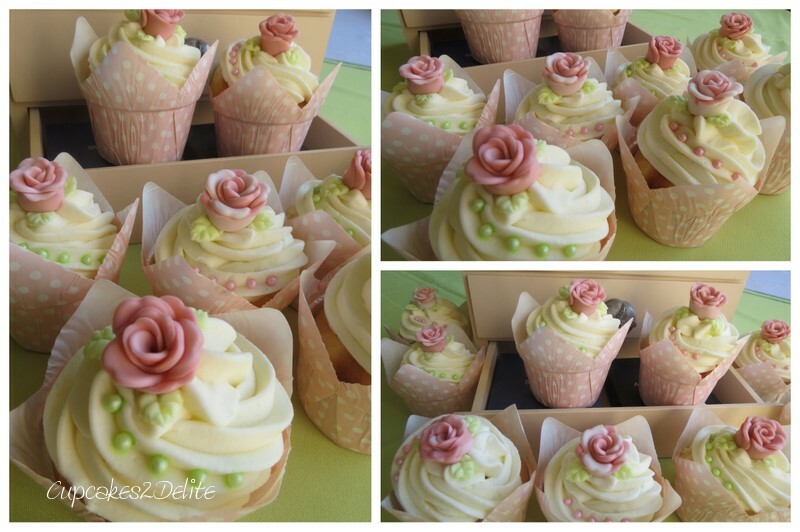 In fact the first photos I took of my cupcakes were cupcakes I made for Michelle’s husband, Marco’s, 50th birthday last April and Michelle and her family’s excitement over my cupcakes helped to sow the seed for my new business. 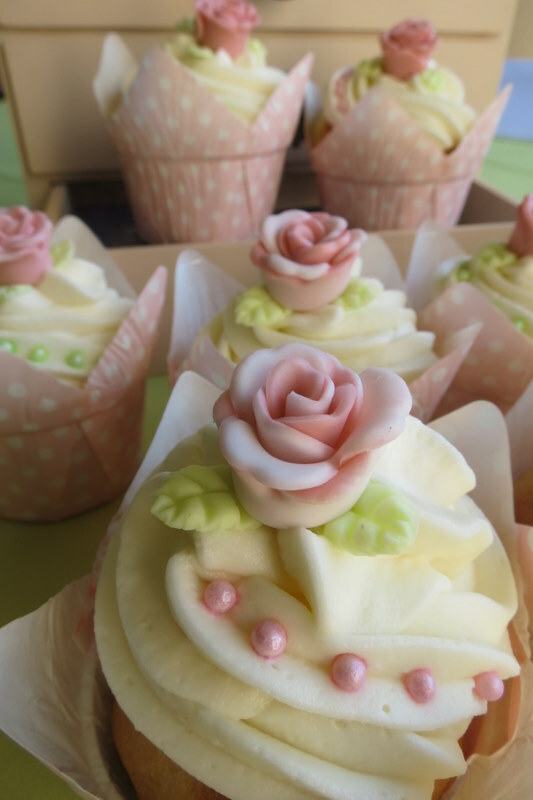 Michelle is a humble, generous and brilliant friend and she is a lover of all things beautiful, so it was appropriate to do these pastel pink roses for her cupcakes as I knew she would love them and spend time admiring their daintiness. Thank you Michelle for being such a fantastic friend and for loving me and my family so unconditionally, you bring as much joy into my life as would any beautiful rose. Thanks Michelle and thanks also for feeding my really hungry son so happily on the long weekend!